Embarkation aboard MV Maya's Dugong at 10:00AM. Guests will be briefed about the cruise program. ​Around midday we start our expedition route towards the Amirantes - Desroches island. 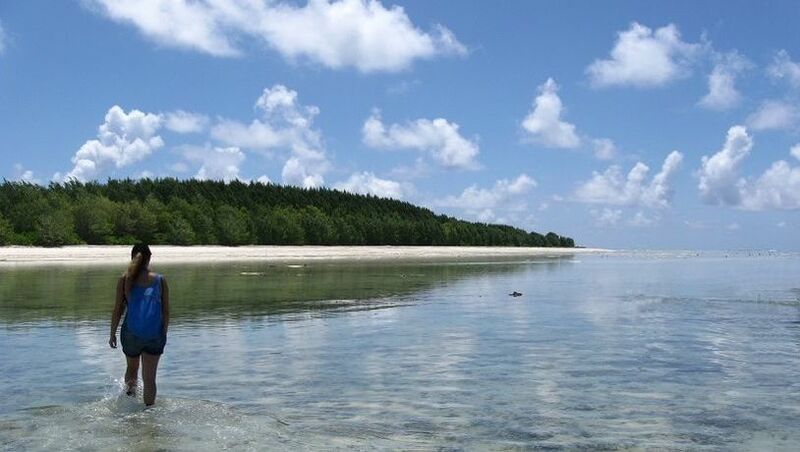 The Amirantes is a linear chain of coral islands and atolls west of the granitics with Desroches the largest and nearest to Mahe, measuring 6 km long and 1.5 km wide is concealed beneath the shade of coconut palms and endemic island vegetation. 14km of immaculate white sandy beaches wrap around the island with crystal blue water lapping at the shore. The Alphonse Group consists of two neighboring atolls, Alphonse Atoll and St Francois Atoll, the latter comprising of two islands St Francois and Bijoutier. These are some of the most beautiful islands of Seychelles. Alphonse is shaped like an arrowhead, with trails of white foam flying out behind it as though it was skimming through the water. It was once a productive plantation, generating 100,000 coconuts a month but today this is abandoned. 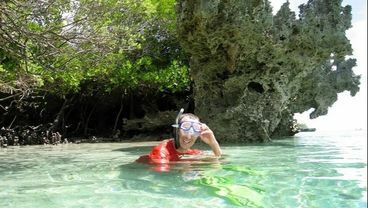 ​Diving around these islands is excellent, though it is not for beginners as currents can be strong. 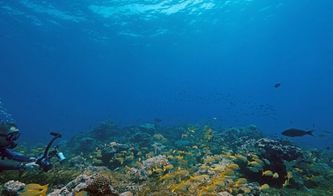 Features include forests of tall Gorgonian fan corals, shoals of barracuda and other predators together with the occasional Hawksbill Turtle that drifts by. ​​Landing on the island is very much affected by tides, weather and sea condition. 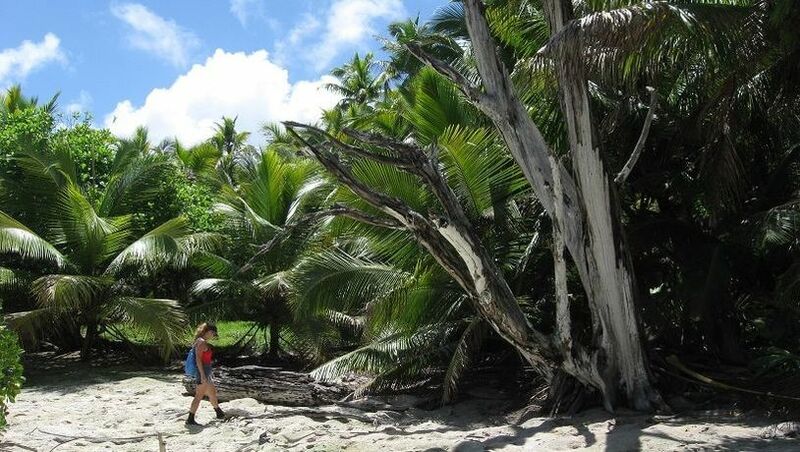 A visit to Cosmoledo is comparable to one to Aldabra but in some ways, Cosmoledo even surpasses this famous atoll in its extreme atmosphere of remoteness. 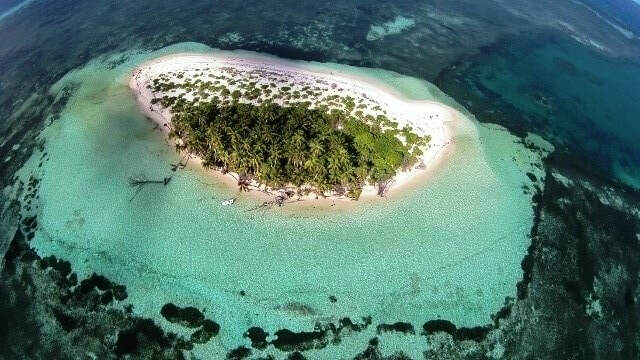 Most of the atoll is uninhabited, save for a small group of eco bungalows for visiting flyfishermen on Wizard Island and very rarely visited. 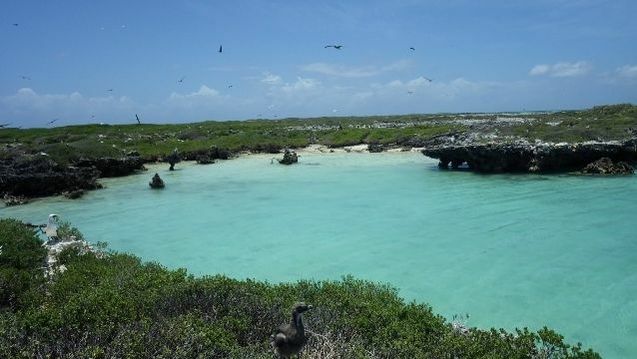 There are some bird species on Cosmoledo not found on Aldabra, including enormous seabird colonies with Seychelles largest populations of Red-footed Booby, Masked Booby and Sooty Tern. A race of Madagascar White-eye (named menaienis) is unique to the island. It is the last breeding site for Brown Booby, extinct everywhere else in the islands. 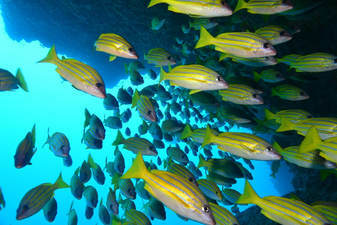 The diving is also excellent and the marine life is very rich. The corals have survived here more intact than elsewhere in the western Indian Ocean. Many turtles can be seen, including very young ones, in the shallow waters of the lagoon, close to the main island of Menai. Cosmoledo has also gained a reputation as one of the world's best fly-fishing sites, yet it has remained off limits to all but a few determined enthusiasts because of the difficulties of reaching this lonely outpost. ​Expected arrival in the afternoon. Depending on the weather conditions, we visit the deserted settlement and dive the West Island of Cosmoledo (Menai) where turtles abound and/or we visit Wizard or Polyte. ​​Often called the jewel in the crown of Seychelles, Aldabra is the world's latest raised coral atoll and a UNESCO World Heritage Site. With an area of approximately 150sq km it comprises about one- third of the landmass of Seychelles, but has no human population other than the Warden and staff of the Research Station on Picard. It is a tropical island wilderness, seen by only a few privileged visitors each year. It has the world's largest population of Giant Tortoise, with around 100,000 of these prehistoric survivors. There are many plants and birds not found elsewhere and one of the world's most important breeding populations of the endangered Green Turtle. Birds include the Aldabra Rail, the last surviving flightless bird of the Indian Ocean and frigate birds. Many other endemic land birds can be seen ashore, including Aldabra Drongo, Aldabra Fody and Madagascar Sacred Ibis, together with the world's largest population of giant tortoises. We visit the Aldabra Research station and the old settlement, cruise through the West and Main Channel and dive/snorkel at Passe Dubois, Polymnie, Anse Var, settlement reef, Anse Mais and Main Channel, experiencing the exhilaration of being swept along by the shoals, observing both pelagic and reef fish in the shallow waters of the lagoon. Drift diving is exceptional in the channels that fill and empty the lagoon with the tides. Shoals of fish stand sentry at these entrances to the lagoon, where sharks and other predators sweep by as they commute between the open ocean and the lagoon. In recent years, dugongs have been seen, a sign that this rare mammal may one day return to breed in Seychelles. This dive is for experienced divers only and depends on tides and conditions. Assumption was laid waste by guano mining around the turn of the 20th century. 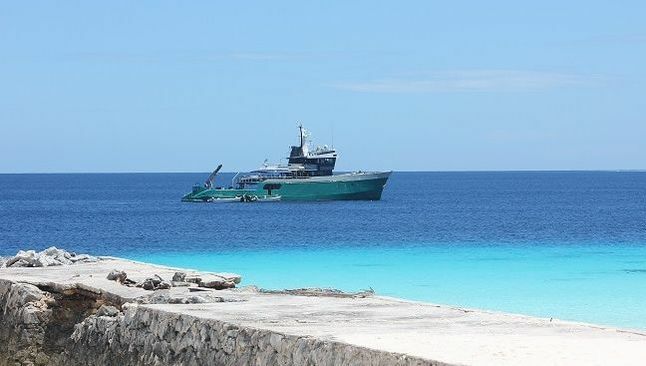 This was the fate Aldabra escaped, wiping out seabird colonies including Abbott's Booby, now restricted to Christmas Island. However, the vegetation is now slowly recovering and there are plans for the rehabilitation of the island. One day it could become a mini-Aldabra. There is a small human population, connected by air to Mahé, though flights are few and far between. There is a long, beautiful arc of coral sand on one side of the island, beyond which the marine life is very rich and diving is excellent. Shoals of snappers, butterfly fish and angelfish flit between the corals in one of the most colorful and diverse reefs of Seychelles. ​Astove is surrounded by deep waters where many a ship has come to grief on its treacherous reefs. The fringing reef averages about 250 meters from the shoreline and beyond this, the floor plummets steeply. This wall of corals is probably the best dive site in the Indian Ocean and indeed has been rated by diving experts as one of the finest dive sites in the world. 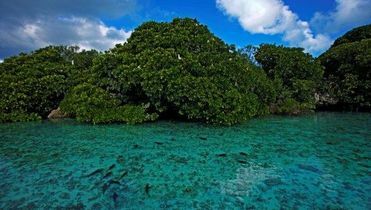 Hundreds of species of fish and Green Turtles. Snorkeling is also excellent on the edge of the drop off. Ashore there are graves of shipwrecked sailors, bleached turtle bones and abandoned buildings including the residence of a former Manager. Laid out around a courtyard in the style of a Moorish palace, it must once have been an impressive if somewhat incongruous sight on a remote island. A short walk across the island leads to the shallow lagoon where Caspian Terns, rare encountered in an ocean setting, dive for fish. Landing on the island is highly affected by tides, weather and sea conditions. Depending on schedule and weather conditions, we may visit the old manager’s house including the incongruous Veevers-Carter house and old chapel, then cross the island to the lagoon. We dive the West walls. If you were looking for a dream island, the uninhabited island of Bijoutier is it. A circle of white sand capped with bright green vegetation, fringed by purple reefs and turquoise sea. Landing is strictly regulated by the ICS rangers from Alphonse due to the large shear water colony nesting on the island. St Joseph is a cluster of islands with a shallow lagoon, home to various species of rays and reef sharks, researched by the Save Our Seas Foundation. 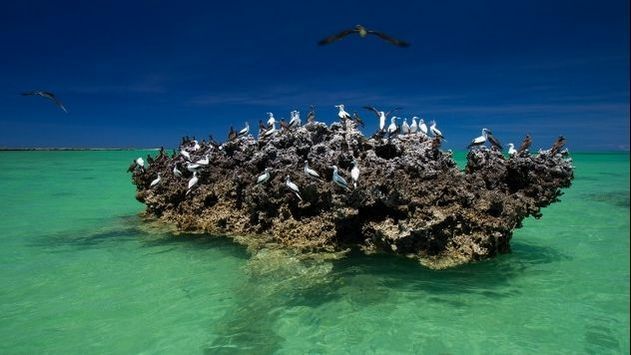 The islands are not easily reached with the fringing reef being extremely shallow and difficult to navigate, therefore visits to shore are not recommended. Snorkeling and diving the channel between D’Arros and St Joseph has impressive sightings of many rays and reef sharks as well as the occasional bull shark sighting. Activity may depend on other visitors of the area. The offer does not include the international and domestic flights, if required. A cap or hat, sunglasses and light shirts with long sleeves. 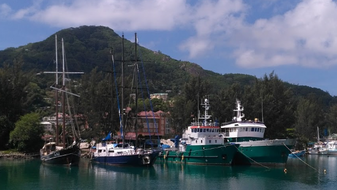 Seychelles is generally warm and sunny throughout the year and the sun's rays can be especially impactful onboard the vessel, due to the reflection from the sea. On the other hand, the weather in the Indian Ocean can change very quickly, so guests are also advised to bring a lightweight rain jacket of sorts for this eventuality. Bring suitable footwear for walking on deck and on the beach/shore. 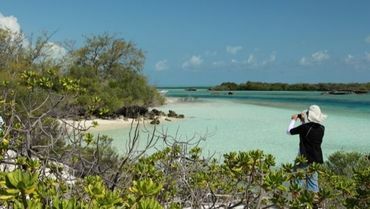 Some areas of Aldabra can be quite rugged so good walking shoes/boots are recommended, but sturdy sandals or walking shoes (trainers) can also be sufficient. Maya’s Dugong can provide full snorkeling and diving gear, however it is highly advised for guests to bring their own properly fitting masks and fins. Our fins are closed heel, slip-in type. *We recommend you pack a swimsuit, change of clothes, medication and toiletries in your carry on bag, it comes handy in case of an unexpected luggage delay. If you are a diver, you can also add your regulator, mask and fins to the small bag. ** Reef-safe sunscreen: Some sunscreen ingredients are not safe for corals; these include oxybenzone, octinoxate, octocrylene, 4MBC, or butylparaben. These chemicals can contribute to the bleaching of corals, therefore we request our guests to bring along a sunscreen that is "reef-friendly". We recommend our passengers to arrive at least a day before embarkation and depart a day after disembarkation. We also recommend to book flights with airlines that provide daily flights to Seychelles (Emirates, Etihad, Qatar, Ethiopian Airlines), please check this with your tour operator. All passengers must hold a valid a travel and medical insurance that will include evacuation by air from the Seychelles Outer Islands and Seychelles in case of necessity or medical emergency and also diving (in case of divers). Silhouette Cruises Ltd partnered with Global Rescue to offer you a suitable evacuation cover for the outer islands. Apply for the evacuation insurance by clicking on below button. We can also cater for groups interested in visiting Aldabra and the other outer islands in other periods, on charter base.